Our silicone reusable laryngeal mask airways can be sterilised up to a recommended 40 times. 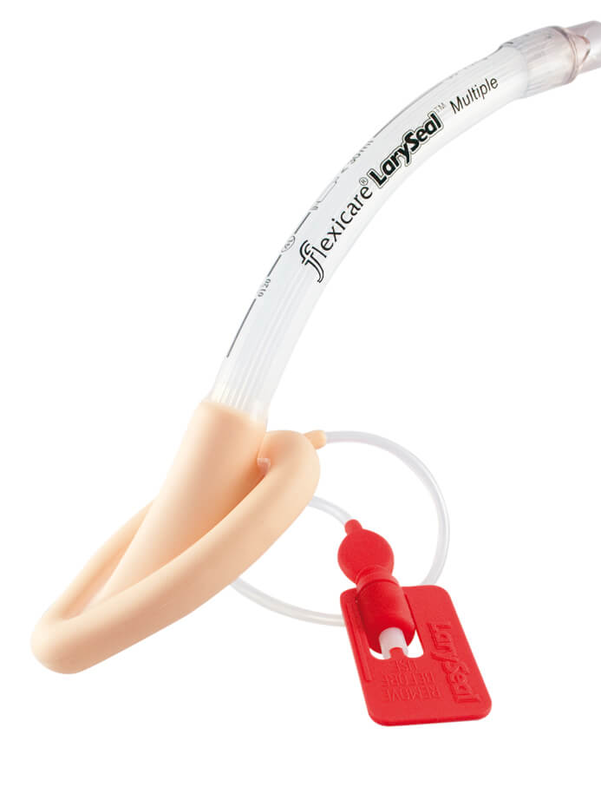 The LarySeal® Multiple cuff adapts to the contour of the oropharyngeal area to provide a secure seal. The thickness of the main tube wall reduces the risk of crushing, while the star lumen ensures patency. 15mm Male connector provides a universal connection. The silicone cuff of the mask moulds against the contours of the oropharyngeal area, providing a secure seal. Durable, high temperature resistant material, recommended for up to 40 autoclave cycles. A reprocessing record card is provided with every LarySeal® Multiple. Thin wall pilot balloon indicates the inflation of the cuff. Ease of identification of sizing by colour coded pilot balloons.